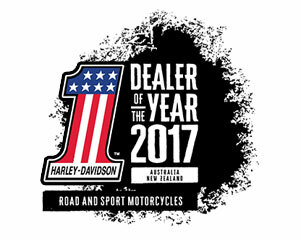 2017 Harley-Davidson Dealer of the Year - Australasia! Waikato's Only Genuine Authorised Harley-Davidson Dealership! Let us be your preferred Dealership today! Shop where your custom is valued and appreciated! We look forward to seeing you in our store very soon. Thank you for choosing Road and Sport Harley-Davidson - Barry Sproule (Dealer Principal).